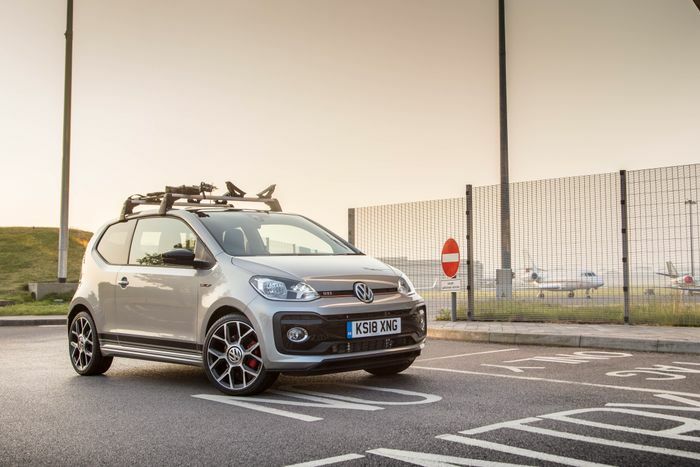 A few months ago, I asked for your advice on what spec I should choose for a brand new Volkswagen Up GTi that the good guys at VW would be lending me for six months. The GTi would be specced to my liking, and the aim of the loan would be for me to tell you what life is like with one of VW’s coolest cars. In the comments, it was quickly decided by you that the GTi would feature three doors, not five, while colour choices varied. Some of you liked the red, others preferred the clean lines of the white. 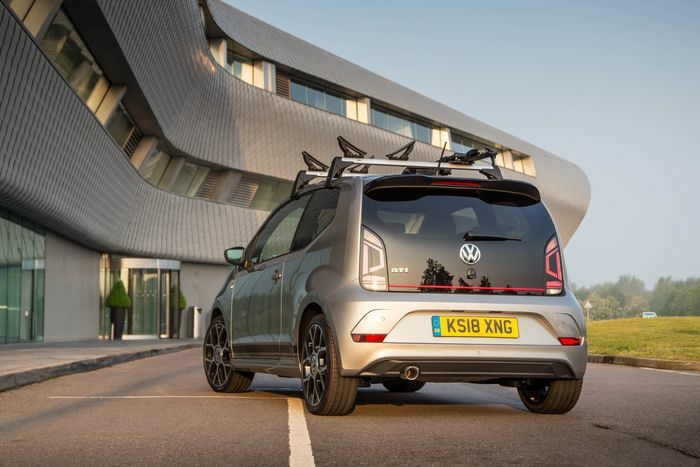 As for me, though, Tungsten Silver metallic looked good on VW’s configurator, so that’s what I went with, along with a black roof and a Jacara Red cloth interior. 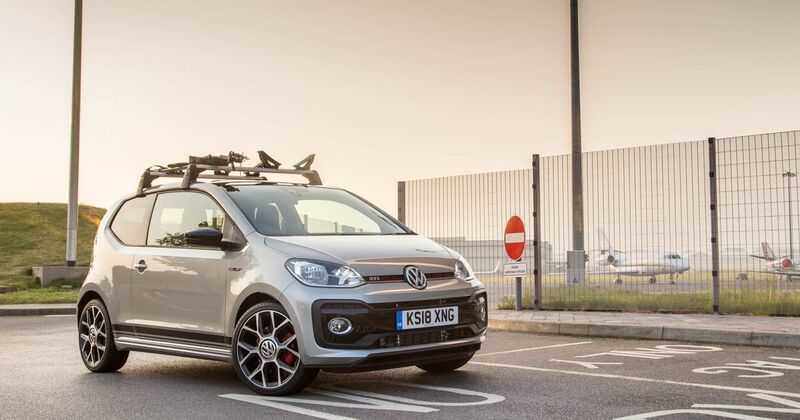 I like to mountain bike and kayak a lot, so was pleased to find bike and kayak holders on the options list, which I quickly ticked, as well as VW’s cruise and park pack, climate control and beats audio. Anyway, the Up GTi showed up this week, so these are the first two decent pics of it I can show you (courtesy of CT Ed. Matt). I’ve only driven the car 20 miles in traffic so far (I’m looking forward to a weekend blast), and first impressions are really good. The GTi’s 1.0, three cylinder turbo engine with 115hp feels very lively, has plenty of low-end grunt, sounds surprisingly awesome, and has nicely weighted steering. The pedal weights are spot on too, especially the brake which, unlike a lot of small modern cars, is not over-servoed, giving the Up GTi wonderfully progressive braking feel.